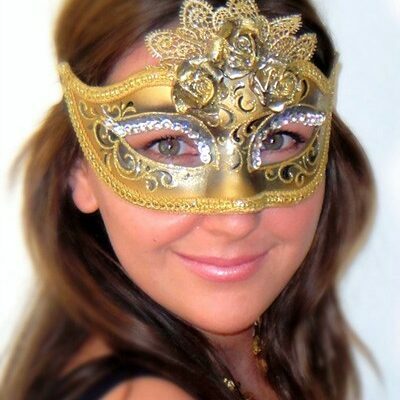 Only the Italians make masquerade masks to this standard which you will surely appreciate. The decorative artwork on this mask is hand painted. 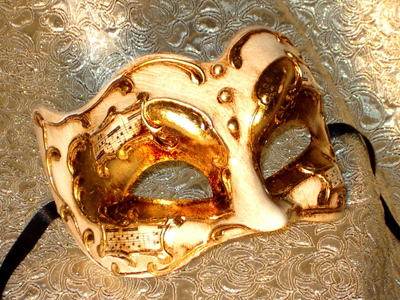 It is embellished with antiqued Gold leaf which give the mask a genuine Gold metallic sheen. 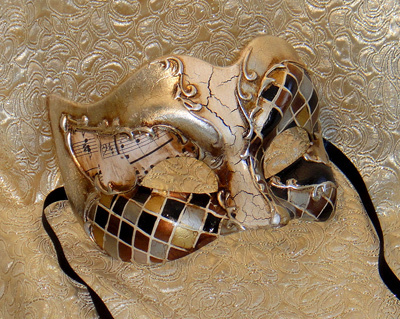 There is a music feature on one side of this elegant crackled mask. 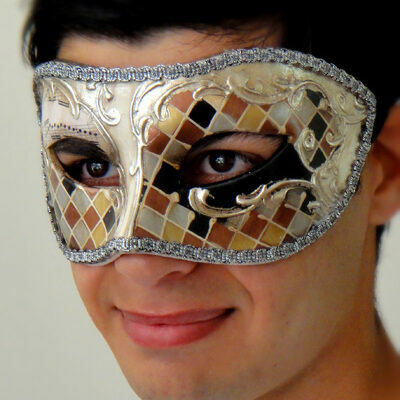 The mask itself is in the animated, mischievous “Zane” profile who is a traditional Italian character. 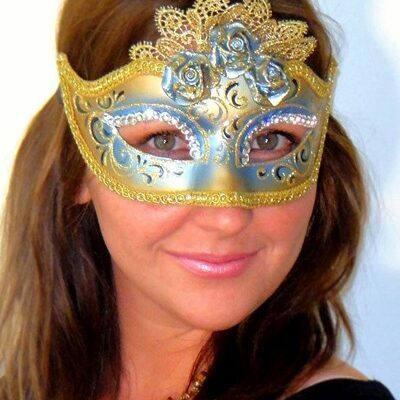 Secured with ribbon ties, this mask is large enough to accommodate the largest of faces. A stick can be added for $15.00 so that this mask can be used by men who wear glasses.